This is the true 'American Shepherd' bred out of German Stock and designed by the American Public. It does not have a registry nor a group of people that have yet come together to preserve it. The American Show Shepherd begins its roots the day that the German Shepherd Dog entered the United States. 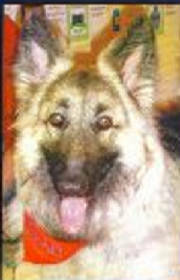 The next step was the creation of the German Shepherd Dog Club and the Registration into the AMERICAN KENNEL CLUB (AKC). With this move the American Show Shepherd began its evolution. As the AKC and the GSDC veered off from the German Standards (the Scoring and the Judging of the GSD here in America) this then was the beginning and origin of the AKC German Shepherd Dog or the American Show Shepherd. American Show judges and the public began to choose the type of dog that appealed to them and in 1935 ch. Giralda's Dewet von der Starrenburg the Best in Show winner owned by Mrs. M. Hartley Dodge of Giralda Farm, Madison, New Jersey began the look of the American Shepherd. In the 1920's - 30's it was Ch. Argus v. Schlosskessfisweiher of Giralda who brought a start to the German Shepherd breeding program and to the look of what would be the American Shepherd. Miss Adele S. Colgate the owner of Hobby House Kennels at Tuxedo park, New York was one of the leading Shepherd breeders of the 1930's - 1950's bringing her style and type to the American ring. Ch. Giralda's Pixie owned by Mrs. M. Hartley Dodge, Giralda Farm, Madison, New Jersey was the type of American Shepherd that was winning in our rings and bringing that square conformation and balanced stance that the American people loved. American Show Shepherds were getting taller and larger than their German Counterparts as well as dividing off from the 'drive' the Germans needed in their working war dogs and the American people loved it! The chest began to develop as well as the rib cage that began to drop as dogs were judged and dismissed from the rings throughout America if the chest cavity did not drop down below the elbow or the chest did not protrude out in front of the dog to make the head and neck rise in the look of nobility! The American Show Shepherd had begun its climb up the evolutionary ladder. Throughout the AKC rings the German Shepherd Dog was constantly being judge for the look of the head as many head types came through the rings. The American Judges were choosing what they thought described the Shepherd Dog here in America. The only Testing that was done was in the AKC Obedience Rings and obedience titles were the way to go if one owned a German Shepherd dog at this time. Enter Cobert, Fran-Jo and Lakeside who took the American Show Shepherd to the top of the envy list with those lovely show stoppers! Longer necks, larger ears, longer bodies and larger heads came on the scene. Depth of chest, heavier dogs, when would it stop? Fran-Jo German shepherds belonging to Mr. and Mrs. Francis L. Ford, Sr of Grove City, Ohio. Ch. Quell Vom Fredeholz ROM of Hessian Kennels added their dogs to the mix. The 'Stop' came when the GSDC and the AKC judges decided to listen to the Germans and stop breeding dogs that the American public began to love. They had to; after all it was the Germans (war) Dog. There was a new dog in town though and the Germans would have to move over. Yes, the Germans were watching and so was the world and the need to intervene was obvious as they brought their Schutzhund Club into the United States to insure that the real German Shepherd (war) Dog did not evolve in a new direction. Germany must have a say in this as it was their dog. The large multiconglomerate corporations and dog club business brought the sport of Schutzhund to the table and in 1969 the Americans created their own Schutzhund club and rules instead of adopting the well-established, thought out and proven GERMAN RULES for this “sport”. This was a somewhat ‘attempt’ at keeping the GERMAN in our AMERICAN show shepherds. The North American Schutzhund Association was formed by combining German, International and AKC rules. We now begin seeing an influx of German Imports and the growth of the German Schutzhund Sport as well as the interbreeding of fine Schutzhund titled dogs to American dogs. Will it work? The FAD was obedience Titles and the Sport of Schutzhund got under our skin. This was a wedge that further split the Show dog from the German dogs as word of mouth, talk, discussions and Trials were proving dogs to be true GUARD dogs. In the Show ring the 'flying gait' became the rage of the world and the American Show Shepherd began its decline in the eyes of the American GSD breeders and show handlers. One must now understand the FLYING GAIT as it was the RAGE! What was this NEW phenomenon? How could I get my dogs to perform like that? Any GSD that could FLY would be placed in the winner’s circle. Here’s the trouble with the flying gait, a large oversized gsd can’t fly! Oh, you wish to prove me wrong, please, email me and let's discuss conformation, agility, endurance, long legs and long bodies… The flying gait meant that a dog had to extend its front legs up and out in front of them. To cover more ground than any other breed of dog, that was the challenge, that was the GOAL! Let’s take a look at the champions of the FLYING GAIT in our books. Turn to your pages and see for yourself what was happening in the show ring. I was there, I was watching and you may have been there also. That flying gait was more important to the judges than the overall look of the gsd because it was the talk of the town! All I heard was ‘gait this and gait that’! Meanwhile the Germans began to use the term "Iron Backs" and the IMPORTED German Shepherd Dog was now seen with a more rounded top. Some of these dogs tried to enter the show rings but this type of back did not support a Flying trot, nor could it cover the ground as our AMERICAN DOGS could. Let’s go the other way, let’s try to put the show dog on the Schutzhund field. Do we really want an aggressive dog? That’s what was asked of millions of Americans that did not care for the sport, nor did they care to put their show dogs through such an ordeal. Do you see the line widening? Want to widen it some more? In the mid-70's, the German Shepherd Dog Club of America (GSDCA) was forming its own Schutzhund organization. This aroused the displeasure of the AKC and resulted in a split, forming the basis of what we now call United Schutzhund Clubs of America (USA). The split within the GSDCA was probably ideological in nature since a new group was formed in the mid-1980's which the National Shepherd Association called the German Shepherd Dog Club Working Dog Association (WDA). The formation of the WDA was purely a defensive move by the national Shepherd organization. They wanted to retain official representation of the German Shepherd Dog in the eyes of the World Union of German Shepherd Dogs (WUSV). A further split also occurred in the late 70's within the USA. Again, it was a difference of opinion that resulted in the formation of the first DVG clubs in North America. Initially, these were just four separate Auslåndesgruppen. They had no voting status in the DVG and simply used the DVG as a record-keeping agency and to sanction trials and titles. In 1984, the American Landesverbänd of the Deutscher Verband der Gebrauchshundsportvereine (LV DVG America) was formed. North America now had full voting privileges in the DVG and was on equal status with all other LVs. Schutzhund Clubs were the only way to protect the German Shepherd (war) dog and a push was on to bring the American Breeding under control but nothing could stop the American Show Machine! The American Kennel Club had done their job and here in America any dog that did not possess a certified AKC registration was not a purebred dog nor could it compete in the most influential shows that had any real meaning. No one could stop the love of this American Shepherd though... and the American people could not forget the wonderful dogs they grew up with and so the breeders continued to breed what they liked no matter the consequences. I personally saw the KING SIZED GSD that entered the AKC show rings. Some of you may remember that AKC judges that judged any GSD had to make a chalk line on their pants legs, (REMEMBER THAT?) These were the very first KING SIZED German Shepherds. That was what we called them. Any large dog of any breed was king sized. Breeders began calling their oversized gsd kings for slang and for breeding purposes. German Shepherd breeders all over America started pulled away from AKC. These breeders and lovers of the American Shepherd somehow hung on to their large boned, squarely built, solid dogs as they used their kennel names to start their own lines. The word ‘Type’ started appearing ring side as folks whispered, “that dog is very type’ee of so an so’s kennels”. Breeders used Kennel Names to identify certain ‘types’ of shepherds. Kings began even before the Shiloh shepherds did, unless you use the kennel name SHILOH SHEPHERDS as the ‘Shiloh’ shepherds were AKC German Shepherd dogs before they became a so called ‘breed’. When the owner of the Shiloh Kennels imported the king sized male GSD Dusters Boogie Down to improve on her so called Ol’ stock Boogie died before any pups were born, yet paper work was rolling into the AKC registration office declaring that Boogie had sired litters, an investigation of the Shiloh Shepherds lines was done and The owner was banned from registering any of her stock. Up popped the 'Shiloh Shepherds' of the so called ‘old stock’. Now the 'King Shepherds' and the Shiloh shepherds began breeding and new clubs were being formed. I have it on firsthand information from co-owners trying to purchase Shiloh F-1’s and F-2’s that some of the dogs looked like Great Danes. One co-owner turned down two such dogs and was upset that Tina Barber tried to get her to co-own dogs that did not even resemble the GSD. Being very well versed in mixed F-1 breeding’s of many different breeds, I can tell off hand which breeds were bred that reproduced the dogs and pups I saw in front of me. When the Shiloh dogs were being bred I saw the following breeds in the outcome: Grt. Pyr. ; Newfoundlander; Grt. Dane; Belgian shepherds; chows and Akita’s as well as some wolf hybrids were being bred into those dogs. The New KING SHEPHERDS started up their tight-nit group and interbred with the Shiloh’s and that’s when the mess occurred in my opinion. King Shepherds were no longer king sized Shepherds, they were a mutt of mixed breeding’s right alongside the Shiloh’s. No one knew the real pedigrees any longer and the AKC king sized shepherds (with AKC papers) started to fade away. The true American Show Shepherd kept on showing and breeding and AKC as well as the GSDC was there trying to protect its stock. Could it? Not in my opinion and then a strange thing started happening, Blue German Shepherd dogs started to appear and then party colored GSD started to appear! Long coated GSD with AKC papers were now showing up! How can this be happening? The answer was simple and here’s the story: ‘a long time ago, when the Capt. first bred these dogs, the long coats, blacks, whites, spotted, blues oh, they were all there in the very first dogs, so of course it could happen” and if you believe that after 200 yrs. of breeding, then I have an ocean front property up for sale in Arizona! Long coated or Long haired German Shepherds could not be rejected AKC registration papers because their parent stock possessed them and this was one way the American public could get both AKC papers and the old style look. On the back side of all of this were the White German Shepherds who had all come together and started their own breed club and this would keep breeders of the American Shepherds hopes up that one day they too should be 'recognized'. The 'flying trot' is still held in high esteem within the show ring but the American public doesn't care for the thinner more hyper working class 'German Shepherd Dogs'. The search for the heavier, larger, hairier AMERICAN SHEPHERDS was on and with the introduction of the computer and the internet it made it easier to find the Shepherds that Americans wanted. The public does not care about registration paperwork any longer, they want the dog that they grew up with and the AKC and the German Shepherd Dog Club of America doesn't have it, nor do they fully understand why anyone would ever consider not purchasing a 'registered' AKC puppy. Unlike NASA before them, all of today's Schutzhund organizations utilize the West German Kennel Club (VDH) rules. This allows the free exchange of dogs between countries and also allows organizations such as LV DVG America, USA, and WDA who have ties to German organizations to compete for international recognition. The American Shepherd is a very friendly, kind, heavier dog than the German Shepherd dog. It use to be larger than a GSD but when the FLYING trot became famous these dogs started looking more like the GSD, thin and skinny. One thing i can say is, it is NOT a GERMAN shepherd dog as that dog disappeared when the war broke out. Can your GSD herd? My opinions are given to help those who wish to purchase a pup of this breed.